I am actually in Texas unfortunately it is the wrong side of Texas. Plus the Prius does not accelerate beyond 50MPH. Which also means I cannot ride share with it to make some money and also puts interstate or any highway driving out of the question too. Well since you do not like Greentech. I would order one from the other two and install it myself. I am not scared of the battery. I am terrified of removing so much of the interior to get to the battery. I have a habit of not getting it back to the way it was before no matter how careful and patient I am with it. It has almost 120,000 miles on it and both bumpers really need work and could fall off at anytime. They seem really secure enough for day by day with all the tape and zip ties holding them in place. Someone hit the back of my car overnight while I was on a road trip. I do not who or how it happened. Having lots of problems getting the insurance company to cover it. Then a few months later I was driving at almost 80MPH and a piece of those big semi tires was flapping around and could not change lanes in time and it tore through the grill on the front bumper. The force of it tore though a lot of those holes that the bolts use that hold the bumper together. One time when I was ride sharing I drove over a crushed construction barrel and it did some damage to the underside of the bumpers. It came up really fast on the freeway at night and did not give me time to react. Also does not help that during that road trip on way back I drove over a dear that was already hit by another vehicle and the antlers did something to the bumper as well. Sometime after that I had to replace the ballast on the driver headlight. I could not get everything on the bumper to go back to normal. The front bumper has been through a lot. I was going to worry about the front bumper after I got the back one fixed. Other than that the Prius is great and runs great. I even added Apple Careplay to it and LED lighting to all the interior lighting fixtures. I would love to add LED headlights and tail lights to it and non HID headlight assemblies too without the headache that seems to cause. Hopefully this is more than enough information. Your geo said CA, so I assumed California... Where in Texas? I've got an installer outside of Houston too. I never said I was in California, Neptune is sadly a fictional place. I am on the complete and other side of Texas. The closest cities in order are Phoenix, San Antonio and Denver. All of them are about a ten hour drive at 70+ MPH. What side of Houston? I'm in San Antonio. city-limit to city-limit is 190 miles. NE around Shepherd. But has an install shop closer to HOU itself. I am on the complete other side of Texas in El Paso. I was thinking the local community college here on the other side of town has a student repair shop. I can see how much they charge and take the battery there and have them install it hopefully without screwing up the interior. Maybe they can fix the bumpers too. I can very confident I can install it myself and take it apart to and replace the modules if I have to. It is putting back the interior and having look, feel and perform the same way it was prior I can never seem to get right. Do not worry, I am not driving it. I am waiting for the replacement harness to arrive. Michael your battery experience has been moved to here: My Prius Battery rebuild experience | Post #52. Please continue to post about your rebuild experience over there and do not use this thread anymore for that purpose. Thanks. I couldn’t find anything mainstream off-the-shelf so I found these on AliExpress.com (ie the Amazon of China). The description says that these are rated to withstand 15A. I didn’t want to mess around with making cables (ie I couldn’t find suitable alligator clips and bullets locally), so bought four sets of these. I know nothing about cables, but the alligator clips have a strong spring in them, and the cables are much thicker than the cheap test leads that I had been trying to use. I’m assuming that this is the specification for the cable - does anyone know how to decipher it? This car gave error codes a year and a half ago. I replaced the battery with a secondhand one from a wreck and this battery has been sitting around since. 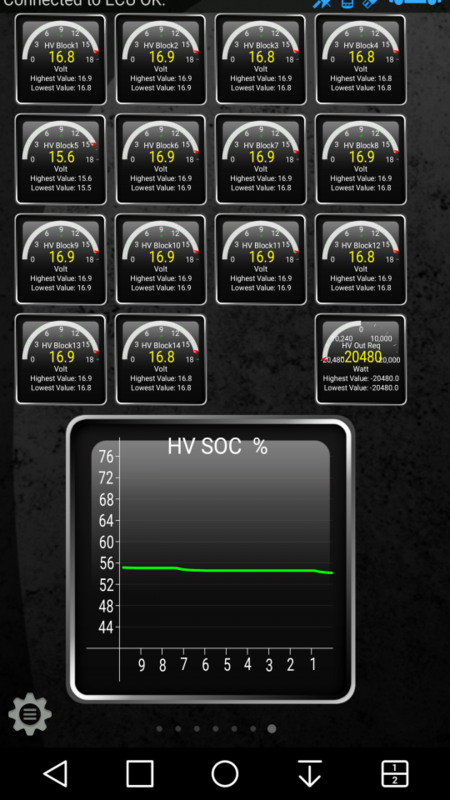 Techstream was showing low voltages in block 5 and block 7 (although only gave an error code for block 7, not 5). Things went ok on these four modules. Any ideas on why the mAh tended to drop on the third cycle from the second cycle? Previous load testing confirmed that modules 10 and 13 have failed, but the others were fairly good. Modules 24 and 26 had 0.45 and 0.43 voltage drops, so they might need replacing as well. On the next round I did modules 9, 11, 13 and 15 (module 13 is already known to be failed). However, on the three good modules the Reaktor terminated. I’ve seen people use settings of 7250 and 7500mAh, and sometimes people use 9000mAh. I even tried 8000mAh on two of the channels (but I’m going to set them back to 7500). What went wrong here? What are the circumstances that result in termination? Charging was set at 2A. I can’t see how I can see the last discharge figure so how can I find out he mAh on terminated modules? I believe that the deltaV setting can cause early termination, otherwise I think it should go to the set capacity. Full disclosure, I've not run these yet, but I've read this entire thread thoroughly, so I hope I know what I'm talking about. Either way I know others will ask for your settings, so you might as well post that now. That was a great write up. Also a great use of the the inexpensive tools available to folks. Smart move about the buss bars. $200 is money well spent for peace of mind against corrosion. Too bad more people don't do it. They brag about what a great deal they got on the car, or money they are saving, and often not willing to spend that savings on the buss bars. I appreciate the honesty about the service plug. We've all done it at some point. Classic way to make you question yourself, and then slap your forehead. Enjoyed the graph. A great way to visualize the spread. The more modules that get swapped in the more interesting that graph becomes. You can see the differences of the newly inserted modules. They never quite match the ones from the original pack. You are off to a great start. Here are some suggestions.  Try the app Hybrid Assistant - Hybrid Reporter. They do the same stuff that you'r using Torque Pro for but they are more refined. I think you'r going to really miss up your pack by reconditioning one block at a time. The reconditioned blocks will no longer match the rest of the pack. Before you do that try discharging 200 mAh from each module in the yellow, red, and grey blocks. That will bring them closer to the average. The Ichargers and their clones, Reaktor and Charsoon Antimater are awesome chargers. The formation charge is a great tool to help speed things up but it's still a 3 1/2 hour charge. The new version of the Reaktor 300W has dropped the formation charge feature. You did not mention that they are also capable of a regenerative discharge at a 20 amp rate. Charger: Turnigy Reaktor QuadKore, currently powered by a Turnigy 23A power supply but it sounds like i need to get into regenerative discharging ASAP. Cut-off: I kept getting termination errors at 7500mAh and even 8000mAh. I saw a comment previously by S Keith that he either turned the cut-off off, or set it to 9000mAh. So, I’ve set it to 9000mAh. I’ve also got an iCharger 106B+ with pretty much the same settings so I’ve been using that sometimes to do an extra module at a time. Modules 10 and 13 are clearly finished (ie dropped a cell in each module). For the load testing, I don’t know how much of a difference is too much. I used a Hybrid Automotive Load Tester (Prolong® Battery Module Load Tester - Hybrid Automotive) and ran a car headlight globe for exactly two minutes on each module. I read on this thread that modules should be kept within a 500mAh range, so after looking at the list of capacities so far it seems that a 4,700 to 5,200mAh range would cover most modules. Below that range: module 5 (4,537mAh), module 8 (4,311mAh), module 11 (4,492mAh), module 12 (4,281mAh) and module 14 (4,369mAh). Above that range: module 22 (5,398mAh) and module 25 (5,468mAh). As we can see, the lower capacity modules are in the centre area of the pack. How important is the 500mAh range for module capacities? Can I get away with just replacing the two dead ones (ie modules 10 and 13) or it is worth finding suitable replacements for modules outside of the 500mAh range? You can do as little much as you want. You may end up going back in there regardless. Sometimes by blind luck you slap a completely random module in there and the pack lasts as long as the on you soebt 20hrs meticulously going through. There are no hard and fast rules to this. Consistency is always better than inconsistency. Both in the process and the results. You are going to always have done factor that limits you. For example, sometimes that is simply because of your supply of modules. The likelihood of getting an exact match is low. So you just deal with what you've got. Do the best you can, and realize you may be back in there in the future. strawbrad and Raytheeagle like this. I'll look into the Hybrid Assistant - Hybrid Reporter, sounds like another good tool. I understand your concern for the pack imbalance, as that's been a constant theme of this thread - the importance of matching capacity and such. Just to elaborate a bit further on my thinking, my process as I outlined is: forming charge (top balance) - measured discharge (to get capacity, and bottom balance) - another forming charge - then discharge to original voltage. The idea is that I'm only doing 1 full cycle each time, which from all the collective reading typically results in a minor gain, with further increase in capacity with additional cycling (typically 3 cycles or more). Therefore, I might only slightly improve overall capacity without causing an extreme imbalance between the others, but also hopefully improve the overall health significantly by catching the weakest blocks before they get too far gone. The other idea here is that I'm focusing only on the lowest block each time, which should theoretically bring the modules closer together and not farther apart, but I guess that all depends how low they are, and how much they improve in a single cycle. Another thought may be to even eliminate the last discharge and try charging up to the desired voltage, but I have a feeling that might be bad as the capacity can be hugely different over a small range of voltage. Then again maybe the same is just as true by discharging down to a certain voltage. What do you think would be the consequence of doing one block only for example? Any thoughts on discharging or charging back to the original voltage? I'll try the 200mAh discharge idea before I do anything else just to see what happens. If this idea works, I wonder if I might be able to use this to better tune the pack after doing the block cycling. Is that something you've done before, or is that just an idea you have? Where did you come up with 200mAh? Is that just a guess, or is that based on the ~0.1V differential? I didn't mention the regenerative discharge capability to shorten the post as much as I could because I'm planning to use a dedicated power supply, so it wasn't relevant, but it is good information for others who might like that approach. I just don't want to mess around with an additional battery and charger for that battery working right. I feel safer with less discharge and a dedicated power supply. I've not lost power at my house in years, so i'm not concerned about the battery backup. Thanks again for your feedback. Much appreciated. Strawbrad had an interesting idea to selectively discharge the higher blocks by say 200mAh to get them more tightly grouped to the others. The interesting thing I don't know yet, is if those lines even correspond to the swapped modules. But I'll look into that next. You think something like this might work for achieving better balance with swapped modules? Maybe this could be another way to fine tune a mismatched pack.. I have done this. The 200 mAh is based on experience. 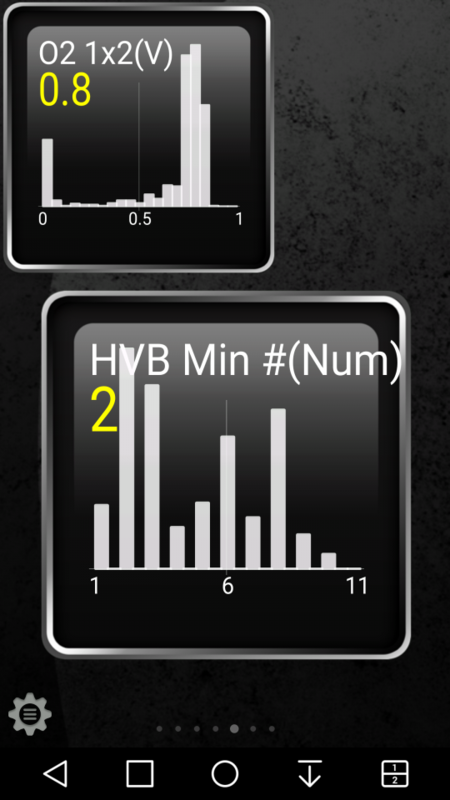 You could try 100mAh on the yellow block since it's a bit closer to the average. The cycled blocks will have improved performance. They will then not match the charge and discharge rates of the rest. 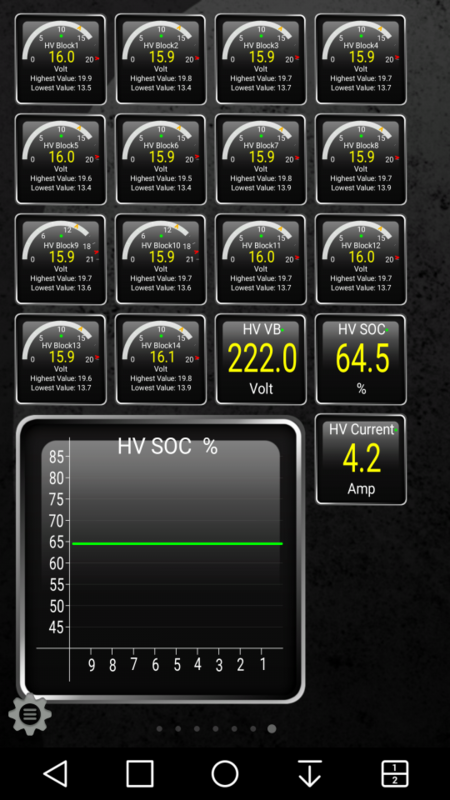 Their voltage will be the lowest on charge on the highest on discharge. That's the opposite of how a weak module behaves. 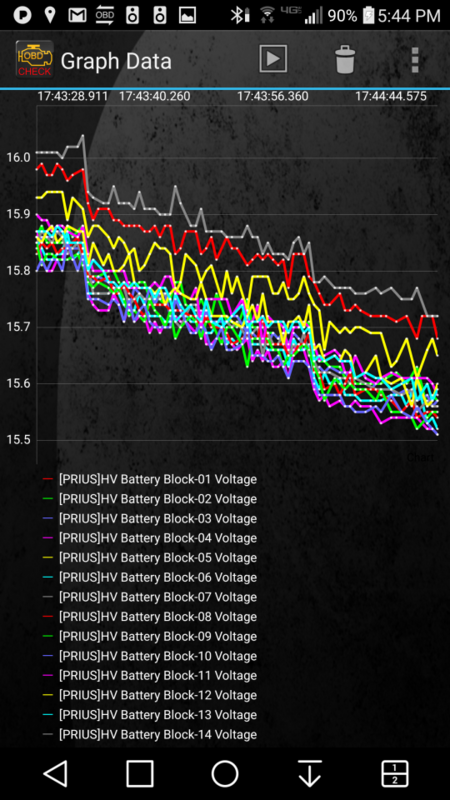 That discharge graph could just mean the Red, Grey, and Yellow blocks are at a slightly higher SOC than the rest. Combining a charge graph will show a more complete picture. Voltage is a very squishy target. Lets say all of your modules are resting are 8.00 volts so you cycle one blocks modules to 8.00 volts. Come back the next day and the pack will still be at 8.00 volts but the newly charged modules will have settled in around 7.9 volts. This is part of the need for consistency that Eric mentioned. Doing anything different to just a pair of modules is going to make them behave differently from the rest. For the load testing, I don’t know how much of a difference is too much. I used a Hybrid Automotive Load Tester and ran a car headlight globe for exactly two minutes on each module. You may be in a range of charging current (2A) where the -dV function may be hit or miss, which could be causing early termination on some but not others. I believe when you are using -deltaV it will stop charging when it detects the voltage sag that occurs when the battery reaches full charge. However, at lower currents this sag is more difficult to detect. From other reports it seem that -dV works reliably over 3A, and many charge at up to 5A. I think what you want to do is set your mAh cutoff to something like 7250mAh or so, and increase the -dV setting to max or turn it off if you can. Some chargers won't let you turn it off, so setting it to max is the next best thing. This way you are more certain to reach your mAh cutoff, otherwise I think you may get little to no "top balancing" if it cuts off early by -dV. Looking at your earlier post data more, what it's looking like is that the ones that reach termination are getting to the mAh setting of either 7500mAh or 8000mAh and stopping, which I believe is what you want. When it shows Done, I think that's ending due to the -dV setting, which is why on one module (I'm assuming a bad one) it's ending at 6.89V and 1971mAh, because it can only take so much charge and is exhibiting enough charge characteristic to trigger the -dV, otherwise I would expect it to go to termination. Yeah I think this is all making sense looking at it more, all your other successful D>C cycles show Done with something over 8V and some variation in the mAh less than 7500 or 8000, which tells me it's ending by -dV, rather than hitting the mAh cutoff. The idea of using the mAh cutoff is to help top balance by gently overcharging. The thing to be careful with these batteries is not to overcharge at too high a rate or you end up too hot, which isn't good for them and can be dangerous. However, 2A is probably okay if you have some sort of forced cooling or very low ambient temp or both. It seems that 3A or more is where most people get nervous. That said, it looks like for the most part you're safe as it's not overcharging, and it's still taking on a fairly high charge, but you may still be missing the opportunity here to combat the voltage depression by overcharging. Since charging is not 100% efficient (most say 60-70% for Ni batteries) then putting in 6500mAh is only storing 3900-4550mAh and the rest is lost as heat. This is part of the reason some set their charge as high as 9000mAh because (6500/0.7 = 9285) which means you would have to pump in 9285mAh @ 70% eff. to get in 6500mAh. So I hope this makes sense, and I hope I'm right with all this. I think it makes pretty good sense, but again I'm still pretty new here. Just my hopefully well informed opinion. Sorry if this is a bit all over the place, was kind of on the fly, no time to edit much. Lemme know how you make out. Experience says a lot. I'll try it out and let you know. Will be a bit yet before I get to that tho. But I'll definitely start there. I think I follow you. But just to elaborate, what I think you're saying here is that weak modules charge and discharge faster, and therefore their voltage will fluctuate more and to a greater extent, whereas better performing modules hold more charge and therefore will maintain a more constant voltage thru charge and discharge since the system basically reacts to the weak modules, not the strong ones. So on charging, the stronger modules will hold relatively steady voltage and the weak modules will run higher voltage as they charge up faster than the strong ones, and basically the opposite on discharge, the strong will again maintain relatively steady voltage while the weak will exhibit greater sag and drop to a lower voltage as they discharge faster than the strong ones. My feeling is that there's probably a much stronger effect of this on discharge rather than charge, but I would trust your experience to say if this is the case or not. This all makes perfect sense tho. Case and point it seems is the method for picking out weak blocks using the HVB Low Block# on an active battery, or the basic load test to identify weak modules. I assume you must mean the watt-hours or Ah's in and out of each block, but I'm not sure I have that ability with Torque. I'd be very interested in that if you feel it would be a better indicator. Your comments about voltage gave me another idea. It would be interesting to discharge all modules to the typical 6V and then pump in a fixed charge, say 3500mAh or so and see what voltage they each land on. Maybe this could be another way to sort of gauge balance. Going off the theory above, the weak modules would basically fill to 100% SOC and reach a higher voltage, and the stronger modules would only reach say 60% SOC leaving them at a lower voltage. I think the flaw here may be the voltage sag after charging as the weak modules may drop to a lower voltage after resting. Again, just kinda thinking out loud. Just curious to hear your thoughts.